BNC 75Ω Crimp Plugs and Accessories | Belcom Cables Ltd. 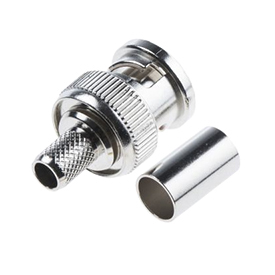 The BNC is a bayonet style connector allowing for quick connect and disconnect with a positive locking mechanism. With a classic, dependable design, BNCs are suited to accommodate a large variety of RG and industry standard cables, in a variety of termination styles.